The main species of Ant that cause problems in the UK is the Garden Ant. They do not carry germs or spread disease but are a nuisance due to their foraging habits. Garden ants will swarm in mid to late summer. Control of Garden Ants is a simple process, it will take less than an hour to perform the treatment. House mice are considered the most troublesome and economically damaging rodent pests in the UK. infestations of mice in Yorkshire are on the increase. The house mouse is very adaptable and will live happily alongside humans. This gives it the name of "commensal" rodents, brown rats are also in this group. We always use the safest and quickest method to control mice within domestic properties. This involves the use of traps and or anticoagulant poisons. The UK's mole population has been increasing in recent years hence the need for mole control using the latest mole catching and mole trapping techniques. 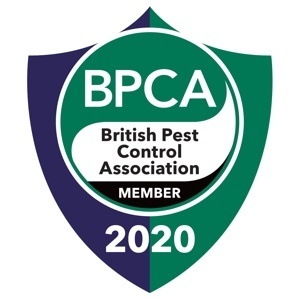 Pestek Pest Control provide a fast and friendly, fixed fee mole control service in Leeds and across Yorkshire. Mole control is available 7 days a week including bank holidays. Long term control of Moths has historically been been achieved by a combination of housekeeping and residual insecticide. However over the last few years products that cause confusion and disrupt mating have been developed. Rats are the most destructive pests known to man and are also the known source of numerous diseases which can afflict humans and domestic animals. Rats can contaminate food and cause extensive damage to buildings. Care should be taken when undertaking rodent control as rat poison will not just kill rats. Traps should be protected so as not to catch wild birds and domestic animals. We can quickly and safely eradicate even the most severe domestic Rat infestation. Wasp nest removal treatments are available 7 days a week from June to November and come with a 100% guarantee. The cost is less than a treatment most local authorities and less than half of the price quoted on the Rentokil website. Don't get stung by unqualified part timers or 0800 rogue traders who quote a low fee then pile on the extra charges for call out and materials. Call your local pest control expert 7 days a week.